Ken Crowley started the Crowley Auto Group in 1971. Today, the auto group is a leading Connecticut dealer of foreign and domestic manufacturers, including Chrysler, Dodge, Ford, Jeep, Lincoln, KIA, Nissan, RAM Trucks and Volkswagen; recreational vehicles including Winnebago, Roadtrek and Evergreen; and a full line of commercial trucks. 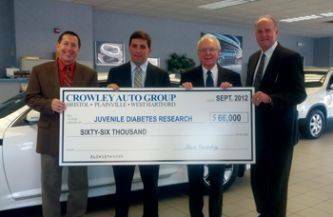 The Crowley Auto Group team are strong believers in giving back and paying it forward. Each year the team works hard to contribute to helping the community and its residents thrive. Crowley JDRF Golf Tournament is worthy of highlighting - 2015 will mark the 19th year of the golf tournament. The JDRF Tournament has raised $935,000 to help in the fight against Juvenile Diabetes. The money raised has helped aid in the Juvenile Diabetes Research Foundation which has resulted in the creation of the artificial pancreas by Yale University and other monumental strides in looking for a cure. Each year the tournament attracts approximately 120 golfers who travel from across the country to play on a world championship course designed by Arnold Palmer. Operation E.L.F. (Embracing Lonely Families) – In 2002 CT Governor Jodi Rell reached out to Ken Crowley to help collect gift cards, food items, toys and money for fuel. Since then, Crowley has been a large contributor to Operation E.L.F. The program benefits the families of our troops who are deployed overseas during the holiday season and is run by the National Guard. In most cases, the family of the deployed soldier is leaving behind a paying job in the private sector and now their family must make do with what he or she makes in the military. 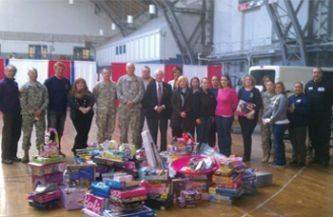 Crowley Auto, a strong supporter of the program, has been told that without its significant donations, the program wouldn't have had the means to continue or the ability to hold the annual holiday party for the families of the deployed soldiers. As a result of this, in 2012, Crowley was named a top contributor to Operation E.L.F. and received a beautiful Bronze Eagle Award during a ceremony at the National Guards' Family Christmas Party. In addition to his help with Operation E.L.F. each year, Crowley donates Thanksgiving turkeys to the National Guard to be distributed to the families of deployed troops. Ken Crowley has also been a supporter of local soup kitchens and has helped to feed veterans on Christmas morning. 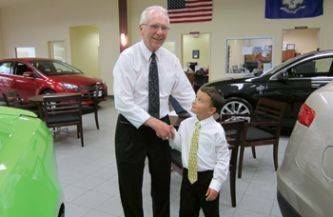 Crowley Auto Group - has continuously supported Plainville, CT resident Nico Fasold over the last 3 years and will continue to donate to his annual Nico’s Lemonade Stand. The money raised benefits the Make-A-Wish Foundation. Crowley Auto Group has held Facebook promotions in support of Nico - donating $1 per new 'Like' and has also had Nico set up his stand at Crowley Ford. Ken Crowley and Nico have appeared in a TV ad together to raise awareness of the cause. Crowley Ford LINCOLN has been a pace setting CT dealership in the Drive One 4 Ur School, Drive Smart for Your School and Driven to Give programs. Our event team now acts as Event Ambassadors and is contacted by other dealerships around the country seeking tips and information on how to help schools and charities host successful events. 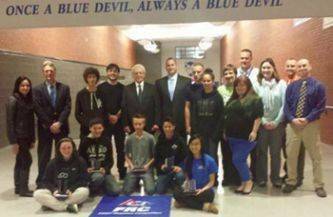 Most recently Crowley has donated $5K to Plainville High School to create their first Robotics Team. The students entered in a competition in their rookie year, and came home with 3 awards; including the prestigious Rookie Inspiration Award for having overcome hardships and adversity in their first year. 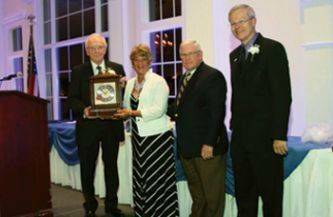 Ken Crowley was awarded the 2014 E. Bartlett Barnes Distinguished Service Award by the Central CT Chamber of Commerce. In memory of one of our community's most prominent and influential business leaders the E. Bartlett Barnes Distinguished Service Award is given to an individual that is seen by their peers and the community as having provided a never ending contribution to the economic success of the community and the region. The list of past winners reads like a history book of the community and Ken Crowley was honored with a much deserved place in that long line of Bristol's business leaders. Ken Crowley was part of a team that conceived and gathered the funds to develop and construct the Bristol Technical School in CT. The school has been a large contributor to the trades, especially with a very significant automotive training class, to which Crowley has donated vehicles for the students to work on. Crowley has created such a beneficial program for graduates that he was honored at the schools 30th anniversary ceremony for all of his work.